Pizza Shop features brothers Carmine (Charlie) and Fiore (Fred) Osso, who emigrated from Belmonte Calabro (Cosenza province) Calabria, in the mid-1960s. 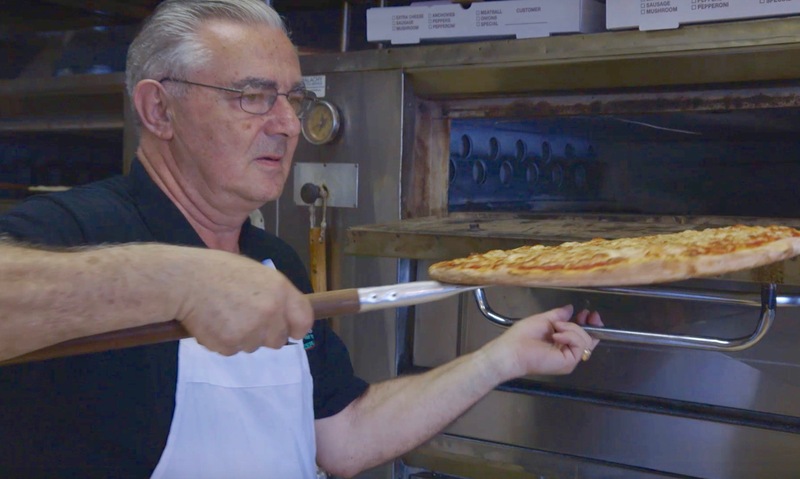 For more than forty years, they have run the successful Rudy’s Ristorante & Pizzeria, a family-friendly eatery in Closter, New Jersey. Charlie is the serious and detail-oriented manager, while Fred is the jovial and passionate chef. In their seventies, they are facing relocation and the construction of a new restaurant. Director Antony Osso—Charlie’s son—explores in this film the many ways a local business, established and nurtured by post-World War II immigrants, can serve as a hub for a community. Co-sponsored by the St. Nick’s Alliance.